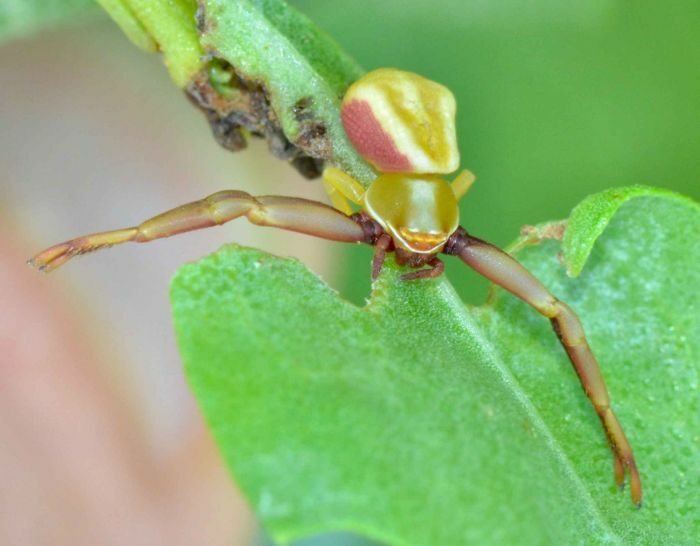 Misumenoides formosipes (Whitebanded Crab Spider). Size: approx. 5 mm. Photo: 08/12/11, 10 am. I am amazed how diverse the females of this species (Misumenoides formosipes) look like. 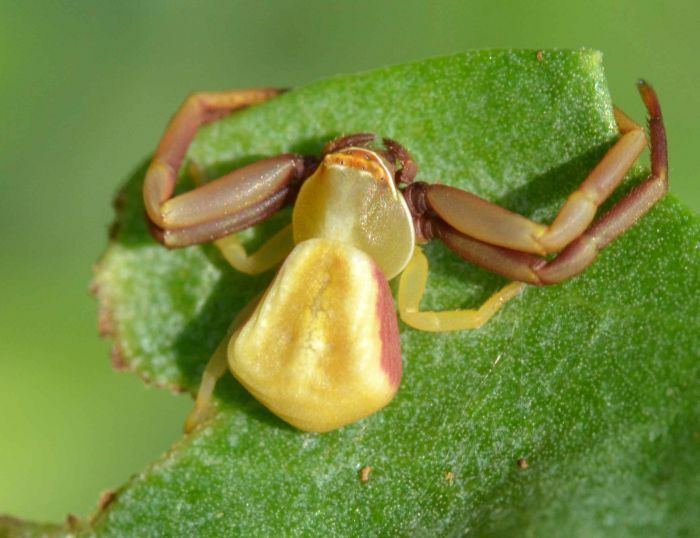 The common names reflect this situation: Whitebanded Crab Spider, Redbanded Crab Spider, Ridge-faced Flower Spider. This white ridge below the eyes appears to be a characteristic feature. It is an ambush predator and often found lurking in or near flowers. Males also feed on nectar.